The goals for lead generation or “lead gen” PPC are different from e-commerce PPC. Lead generation focuses not on an immediate yes or no to a sales proposition, but instead is designed to start a prospect into a sales nurturing process. All leads are not created equal. Effective lead generation is not just about pushing a ton of leads into a client’s pipeline – today’s organizations demand more than that. And the good news is, technology lets us deliver better and better quality leads over time. 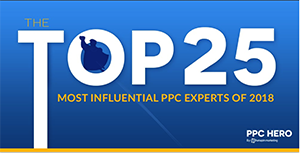 Our lead gen PPC programs are designed with YOUR goals at its core. We work closely with our clients to dive deeply into exactly what kinds of leads are most desirable and then set about creating PPC strategy to bring those types of leads in the door. It doesn’t stop there though. Through ongoing management, feedback and analysis, we continue to refine our strategies to capture better and more profitable leads for your business. Ready to rock your next lead generation campaign? Call us! 484-341-8181.